This is not a production still. It's an actual frame from the movie. Yeah, the quality is that sharp. *Find out what time it starts in your time zone by doing the math here. The premier follows the BFI National Archive’s meticulous frame-by-frame restoration of the film, with a newly-minted soundtrack composed and performed by award-winning jazz musician Soweto Kinch. So forget those cruddy old soundtrack loops you’ve gotten used to with silent films. Kinch’s music alone will be almost worth the price of admission. But even more importantly, I watched a preview of the film and visuals are truly stunning. You'll think the film had been shot last week. The quality's that good. Watching the restored The Ring is the closest you'll ever get to seeing what Hitchcock himself saw at the premier. The Ring will be shown simultaneously at London’s Hackney Empire, so it’ll be almost like joining a live theater audience, but with one major improvement: unlike the theater-goers, you can follow along in a worldwide Twitter feed—just use the hashtag #thering. I’ll be there and I hope you can join us! To get prepped for the film, take a look at this brief-but-informative documentary about Hitch, London and the British film industry of the 1920s. As was the case throughout his career, in this early production, Hitch assembled a repertory cast that he would use off and on in multiple films. The movie's story itself goes a little something like this: The Ring is a story of the love-triangle between boxer Bob Corby (played by Ian Hunter, who also starred in Easy Virtue the following year), his sparring partner Jack Sander (Carl Brisson, featured the following year in The Manxman) and Jack’s beautiful wife Mabel (aka the housekeeper 1928's The Farmer's Wife). 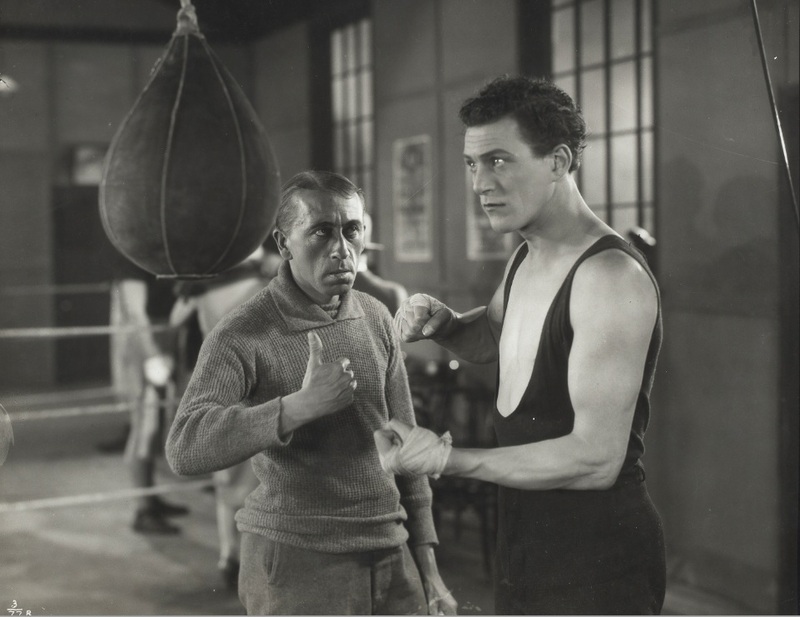 Even the setting was to become an early Hitchcock standby, with the climactic championship fight set in Albert Hall, a locale he would return to in both versions of The Man Who Knew Too Much. ?? I'm in New York City, and the area where the movie will eventually be displayed says, "Sorry, this item is not available in your region." Sorry about the trouble you're having. I'm having the same issue, however, I think it should become available the day of the event. I'll keep you posted. Thanks, Joel. I'm counting on you to support my Hitchcock addiction! As you may realise by now ,the live stream of The Ring was made available to UK audiences only.What a great shame as this was promoted by the Arts Council whose remit is to foster the arts in Britain and promote them to a Worldwide audience .We can now look forward to the restored film being returned to the BFI's vaults to see the light of day once in a blue moon. The requested URL /items/e0000ecg was not found on this server.